A complete renovation of a second floor, century old brick semi located in Riverdale, Toronto. 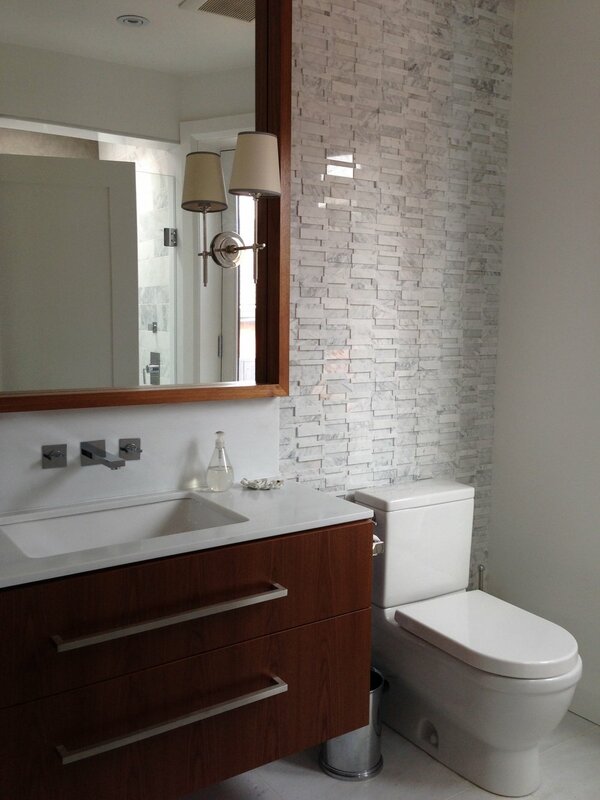 The design brief was to convert one large 4 pc hall bathroom into two bathrooms, in order to gain a new master ensuite, and a 3 piece guest bathroom. In addition the hallway and beddrooms were updated updated with new finishes and furnishings as well as new french casement windows added to the guest room and hall bath. 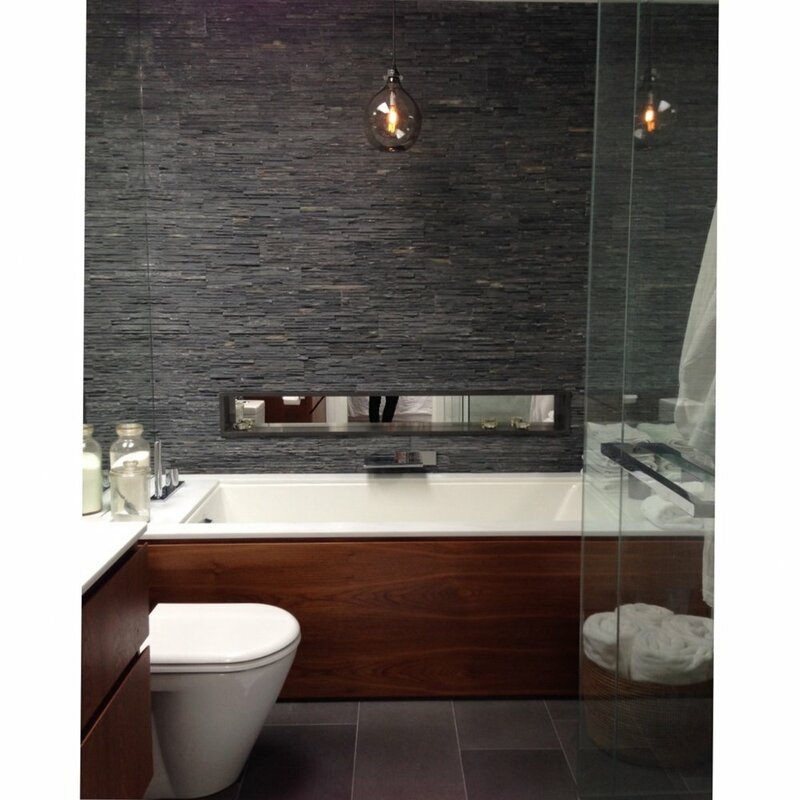 The new bathrooms featured all custom sized natural stone floor and wall tiles and custom made black walnut millwork. 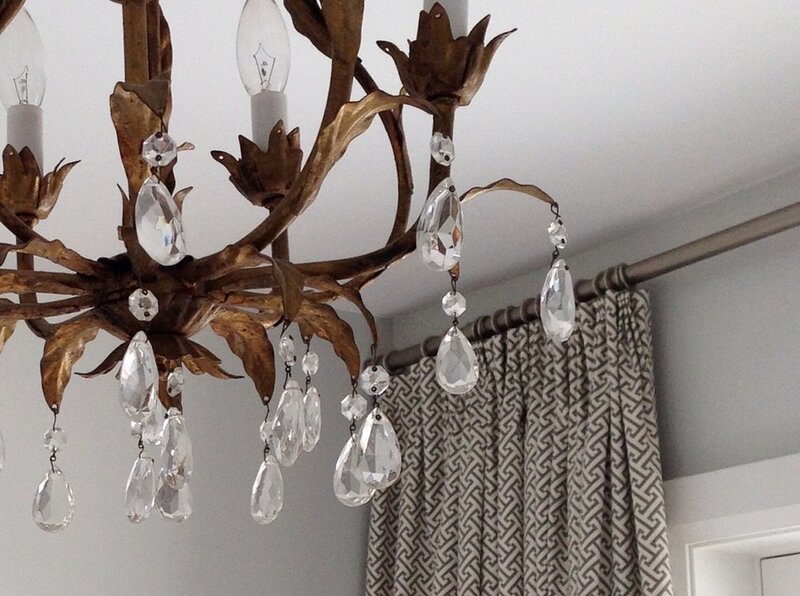 A treasured antique brass chandelier was the jewel of the guest bedroom designed for the owner's mother, and juxtaposes beautifully with the contemporary decor. The above images are site photos as the project neared completion. For before photos and floor plans, check out the blog posts.